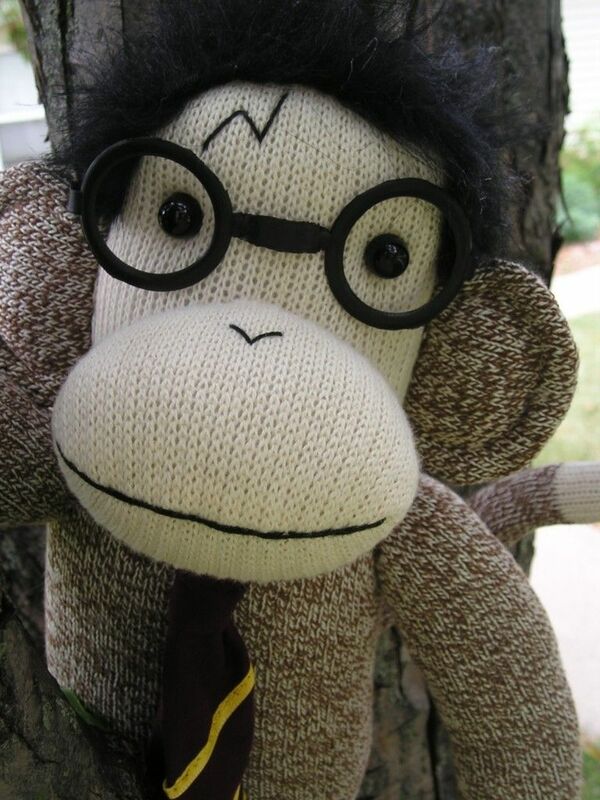 Meet Harry ..a very brave sock monkey who is ready to dive into the magical world of Harry Potter. Handcrafted by me out of Large Red Heel socks he has black dome button eyes with an embroidered mouth, nose and lightening bolt scar. To complete his look I gave him straight black hair, and plastic eyeglasses. He is showing off his courage and chivalry wearing a Gryffindor necktie which was also completely handcrafted by me.